You guys, I’m super excited! I found some rolls of old, expired film laying around that I’d never gotten developed, so I sent them to the wonderful folks at The Find Lab last week and I just got the scans back! I had no idea what was on them, but it turns out I shot 3 rolls on the same weekend in October, 2015. These rolls were all expired Kodak Gold given to me to kill off, and were definitely underexposed even though they were all shot at speed; I’m not quite sure why they were underexposed for this reason. Kodak Gold isn’t the best film in the World, and I prefer the soft teal hues of Fuji 400H as opposed to the oversaturated warm tones Kodak films tend to have. Saturday morning I went to Katie’s Cars and Coffee and shot the show on film. I have a hunch I used the 35mm f/1.4L for the whole show and most of the next day in Shenandoah, but I’m not 100%. It was a foreign invasion, with offerings from France, Germany, England, and Japan. These photos are available for print and download here. The next day was the annual trip to Shenandoah National Park to take in Skyline Drive - this part I shot on film and digital. I wish I could remember what trail we hiked while there. When the wind chill is bearable and we have the time we often go hiking during our annual trip. This was my first trip to Skyline Drive with my new car, and we spent most of our time there photographing all our cars. 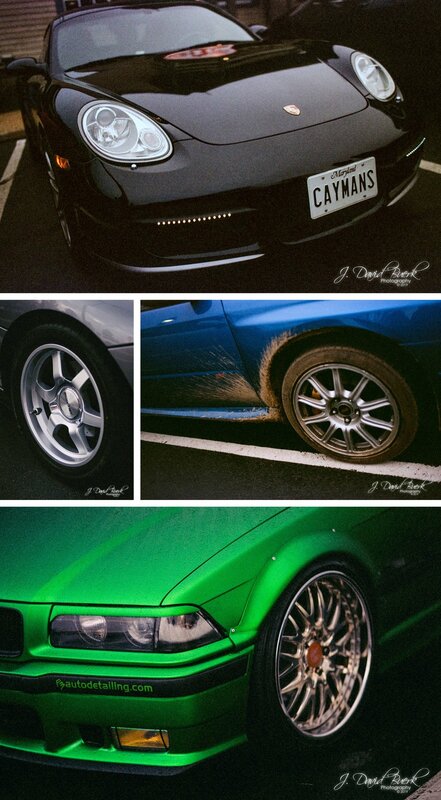 This was the first and only time Jake, Patrick, and I had our cars together on Skyline Drive, so the majority of my digital pictures were of the cars, and I used the film for nature and landscape photography. I used a mix of lenses, but I can say for sure the first photo was shot using the TS-E 90mm f/2.8. Some photos from this week's polar vortex snow squall, captured on the Canon EOS R using my converted Lubitel medium format lens, and fully edited on iPhone XS. It’s single digits here with a windchill around -15ºF, but it’s colder than Antartica in Chicago this week, with a windchill of -50ºF; and guess where I’ll be next week…. I’m hoping it’s only in the single digits while I’m there. By now you probably read about my small (read: big) obsession with Chicago O’Hare’s Terminal 3 and how ORD decorates it for Christmas, just like in Home Alone 2: Lost in New York (Terminal 3 is seen in the original Home Alone, but without holiday decorations). 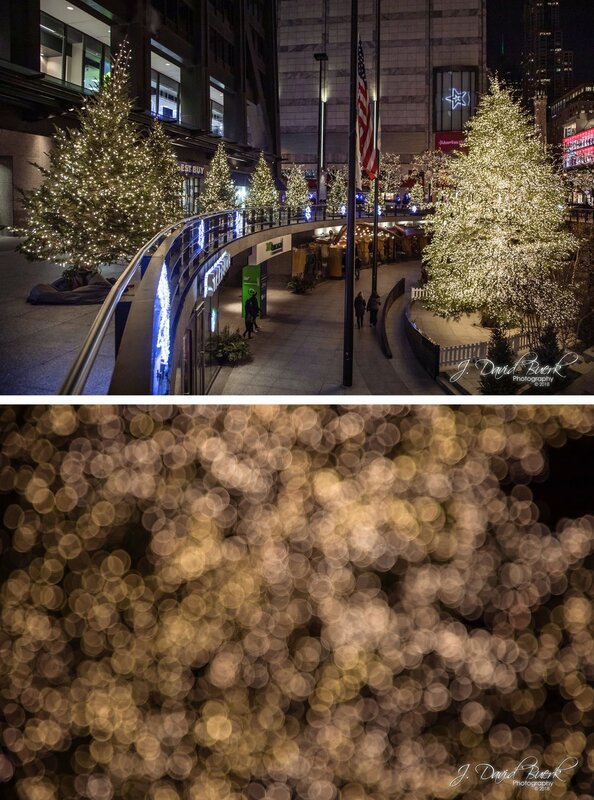 I shared a glimpse of my early-December trip to Chicago before Christmas, highlighting these decorations at O’Hare. Today you get to see my entire journey to Chicago in December, not just the Christmas portions. This was actually my second time to Chicago for a photography assignment at Chicago O’Hare International Airport in two months - my personal photos from my ATL-ORD-SFO trip in October are in progress; work assignment photos always come first. You’ll see the photos from that trip at some point this Spring, so you’re seeing these trips out of order. In October, due to the logistics of my photo assignments, I only had an evening free in Chicago before flying to San Francisco for the next photoshoot, and I was lucky to even get that. 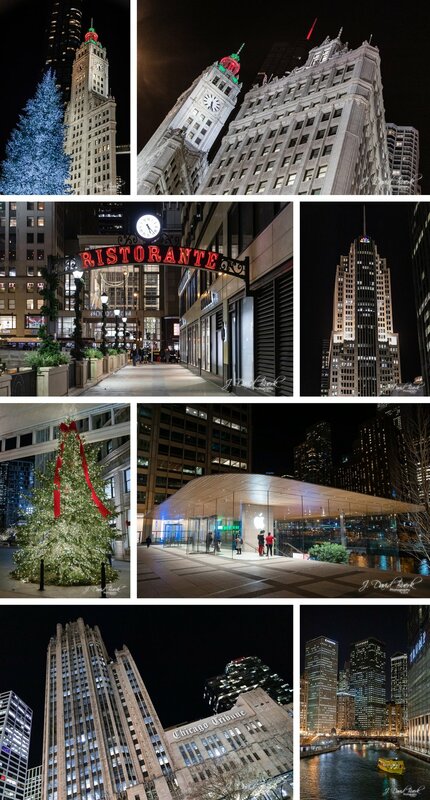 This time, in December, ORD was my only airport to cover, so I was able to schedule an extra day in case of weather or scheduling issues, allowing me to explore a city I’d never truly seen before. All journeys have to start somewhere, and Dulles’ slogan is Your Journey Begins With Us - Steve and his team always deck out IAD with new additions every year. There was new colorful LED uplighting inside Eero Saarinen’s Main Terminal Building this year, but I never got to see it in person this year, departing in daylight. Here is Dulles’ Main Terminal AeroTrain station all set for Christmas! I think everyone does this, but it’s always fun to spot places you know or frequent from the air. Living so close to Dulles, on this pattern I always see a shopping center I visit, but got to see my old high school from the air lit up for football thanks to a banking turn. 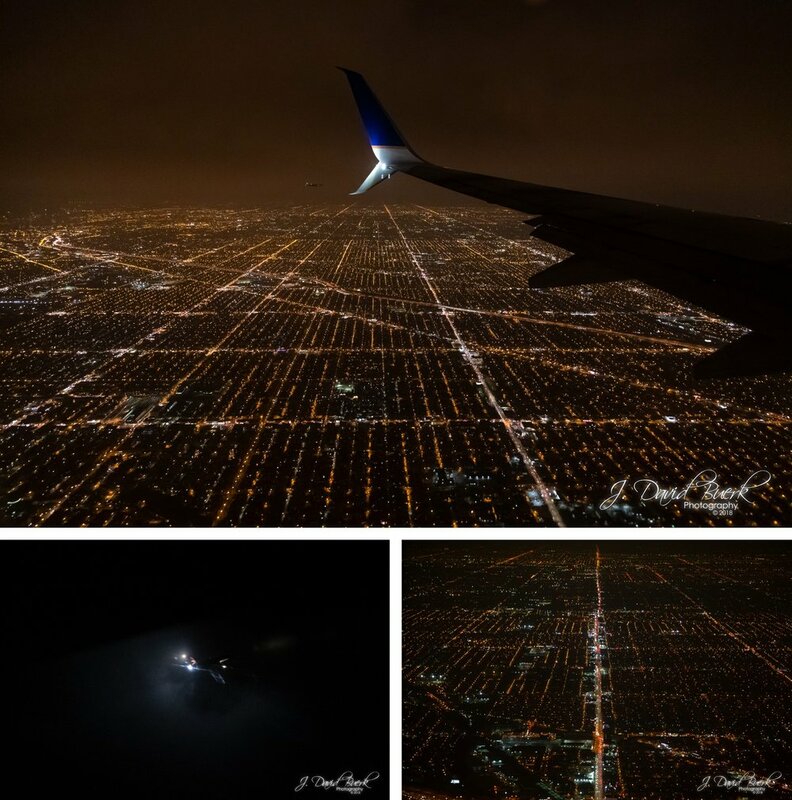 I always prefer a window seat anyway, but by far Chicago is one of the prettiest cities to see from the air at night. If you ever visit this city, you must get a window seat and arrive at night. Chicago is the only city I’ve truly been excited to specifically see from the air. This, my second time taking in Chicago’s sprawl, I was joined by a British Airways flight abeam my plane also on final. For about 5 minutes until we landed simultaneously I spotted the BA flight appearing and dissapearing in and out through the low cloud-cover above the peach glow of the sea of sodium lights below. The Grid; a digital frontier. Maybe one day I’ll photograph the moonrise along the Chicago skyline in tribute to the masterful work of Ron Fricke and Godfrey Reggio. My flight on United arrived in Terminal 1, and since it was nighttime upon landing and my photoshoot the next day was in the morning, I took an extra hour to walk all the way over to Terminal 3, stand in awe of the beautiful light display, take pictures of it, and walk all the way back to Terminal 1 to exit and claim my bag - this way I was sure to get photos of the decorations during night and daylight. Totally worth it, and a huge airport bucket-list item checked off. These lights are seen adorning walkways between Terminal 1 and 2. Made famous in Home Alone and Home Alone 2: Lost in New York, Terminal 3 is where the McCallisters perform the McCallister family travel tradition of springing to their gate. The McCallisters fly out of the K Gates in Home Alone, and the H Gates in Home Alone 2, while Kevin gets separated at the Y-split, boarding his flight to New York out of the K Gates. A fun factoid if you watch the movies closely is the Terminal 3 Christmas decorations only appear in Home Alone 2. My travel days mostly only consist of traveling and getting settled in upon arrival. Before heading to the hotel to settle in, I got to say hello to the O’Hare dinosaur, watching over the silent Terminal on my way back to baggage claim to head to the hotel. I chose a different hotel this time because I had nothing but logistic problems with the hotel I stayed at in October. Not only did I get a deal on the room, but this one was much closer, and on the off-chance their airport shuttle didn’t run like the shuttle at my previous hotel, this one has rail service and is only one stop from the airport. This hotel was much more convenient and gave me reliable and quick transportation. During my photoshoot the next day, I got to see Terminal 3’s decorations in daylight; I’d expected and looked forward to this, becuase Christmas lights turn me into a wide-eyed little kid. It’s beautiful at night and during the day for different and unique reasons. The day after my photoshoot was free for flexibility or inclement weather, so I decided to go downtown and explore some of the places I didn’t get to in October. This time I had a few destinations in mind, but was content to explore without a rush. In contrast to having only a handful of hours beginning at sunset in October, I had an entire day, which let me explore in daylight. The sun did nothing, however to counteract the single-digit temperatures I was braving this time around. A few blocks from the subway, my first planned desination was the Christkindlmarket Chicago; a German Christmas market serving German food and selling German Christmas wares. After eating some bratwurst, a stuffed pretzel, and some hot chocolate with Krampus, I set off toward Navy Pier, and decided to stop by Anish Kapoor’s Cloud Gate along the way; I’d photographed Cloud Gate at night in October (one of only three stops I had planned and successfully squeezed in in October), but decided to see it in daylight as well since I wasn’t too far from it. My impression of Cloud Gate is that it is more beautiful on a clear day like this one, but the experience is more enjoyable at night due to much fewer people. Millenium Park also had sections blocked off for Christmas light displays which hadn’t been present to obstruct some views whe I was here in October. The reflection of the skyline is mesmorizing. Going underneath “the bean” absorbs all the city din, only reflecting echos of gabbing passersby. I noticed the fancy scroll architecture in October, but didn’t wander over to see what it was; I imagine seeing a concert here is like across between Wolf Trap and Merriweather Post Pavillion. Also of interest was stumbling onto the NBC building in Chicago; I didn’t know they had one, but it’s interesting to me since I’ve been inside 30 Rock and toured sets of some of their shows including The Doctors, The Tonight Show Starring Jimmy Fallon, and Saturday Night Live. If the Maggie Daley Ice Skating Ribbon had been open while I was there, I’d have actually considered trying a few laps on it. (Ice is how I dislocated my knee and tore my MPFL requiring reconstruction in 2017, so this is quite the statement). I’ve only been ice skating twice in my life, and I’ve alwyas wanted to try it again. Doing so alone in a city you don’t reside or even know anyone in would have been pretty risky, so in reality I probably wouldn’t have done it. But maybe I would have. I’d been reccomended visiting Navy Pier; a contact from my photoshoot the day before, a life-long Chicagoan, told me there was lots to do at Navy Pier, likening it to Pier 39 in San Francisco (which a life-long San Francisoan from my photoshoot at SFO reccomended I visit). I was also recomended a few specific hot dog joints, but none of them were convenient to visit along my path. Arriving at Navy Pier, it was completely deserted - it was single-digits out after all. It looked like the building itself was locked up to me, so it wasn’t until I’d walked halfway down the pier that I saw a small group come out some doors, showing me there actually was an interior I could get to (and more importantly, warmth!). I warmed up and continued to the end of the pier to see what was at the end; all I found was a kids’ Santa Claus event - Navy Pier had been made out to me to be a lot more with a lot more going on than it actually was; during the Summer I’m sure that’s the case, but not in early December. I stepped outside at the end of the pier just in time for sunset. Now that I knew there was an interior to Navy Pier, I backtracked in warmth, and found out there was a small mall section I’d completely missed. Staying warm a few minutes longer, I got my first bag of Garrett Mix. Ready to brave the cold again, I head back West to Michigan Avenue. Given that I was cold and doing a lot of walking, I’d sworn off shopping this trip, but The Magnificent Mile is still a Chicago staple, nothing is stopping me from window shopping, and it was a direct route to the pizza shop I had planned this time around. That, and I wanted to see the Christmas lights along Michigan Avenue; this was the Christmas parade route, after all. Since night fell, and the Christmas lights were on, I went into full Kevin McCallister mode and set out hunting Christmas trees. In doing so I passed The Wrigley Building, a huge Apple Store, and Tribune Tower, which has a fascinating history. Finally, toward the North end of Michigan Avenue (and after a short trip through Water Tower Place), I hit the motherlode. What I didn’t realize until I turned the corner is what building I was standing in the shadow of. I’d photographed it twice now already; Chicago’s iconic 875 North Michigan Avenue, more ubiquitously known by its former name, The John Hancock Center. Visiting this tower wasn’t part of the loose plan I’d assembled, but that’s the point of having a loose plan - unplanned fun. Two months prior I’d gone up the 110 story tall Willis Tower (formerly Sears Tower; the first and primary stop I had planned in my October jaunt downtown), but I found the view from the 100 story tall John Hancock Center more impressive. And there is Navy Pier from 94 stories up; remember, I walked all the way from the end of that pier (and further to get there, actually; my only subway usage this jaunt was to get to downtown and to get back to my hotel in Rosemont). No folks; it’s Winter, and sunset was around 4.30 - it’s just rush hour on a Friday in Chicago. After that astonishing display of naivety, and walking the city all day with only light fare in my stomach, it was time to finish the last few blocks and hit my last planned stop: dinner at Lou Malnati’s. I needed food, and I needed it quick, becuase my cue to leave John Hancock Center was a quickly forming migraine, and I didn’t have migraine meds with me downtown. I was hoping food would stave it off, since I’m sure it was caused by dehydration and poor diet. The pizza was fantastic, by the way. And to finish my day off, the food did nothing to slow the migraine, and after 45min waiting to get into Lou’s, an hour and a half eating, 15min waiting for the train, and an hour ride back to Rosemont, my migraine was way beyond any intervention. It was the first migraine I’d had in over 2 months, and the worst migraine I had all year. I only managed about 2 hours of sleep; after at least 8 hours of excruciating pain in my pitch black hotel room, I managed to fall asleep, and woke up with the post-migraine haze I experience when the pain has passed, but I still have cognitive fog while the tail end of the migraine clears up. The killer headache the night before meant I hadn’t packed, so after a shower I rushed to fit what is usually a 1hr organized exercise into a 20min disorganized frenzy to pack and catch the hotel airport shuttle... hopefully. Luckily I was right on time to catch it. And although I was arriving to the airport a full hour later than I normally would prefer, I still had a half hour to safely get something to eat near my gate. Among other things, I finally got my Chicago-style hot dog since I never got one the day before. The snow-dusted Shenandoah mountains was a fitting sight to end my trip; I’d spotted snow flying over the Sierra Nevada mountain range on my return trip from San Francisco two months prior. 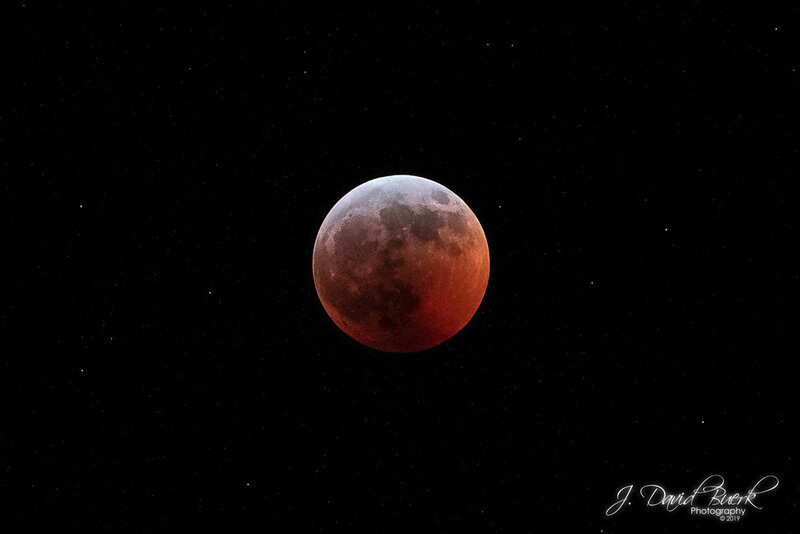 Did you see tonight’s supermoon total lunar eclipse? I braved the 4ºF wind chill and got you a few photos, and was reminded of the last eclipse I watched: the total solar eclipse, from Niota, Tennessee two years ago. Unfortunately I had some clouds start moving overhead during totality, and I couldn’t feel my fingers anyway, so I was happy to call it a night and warm back up. 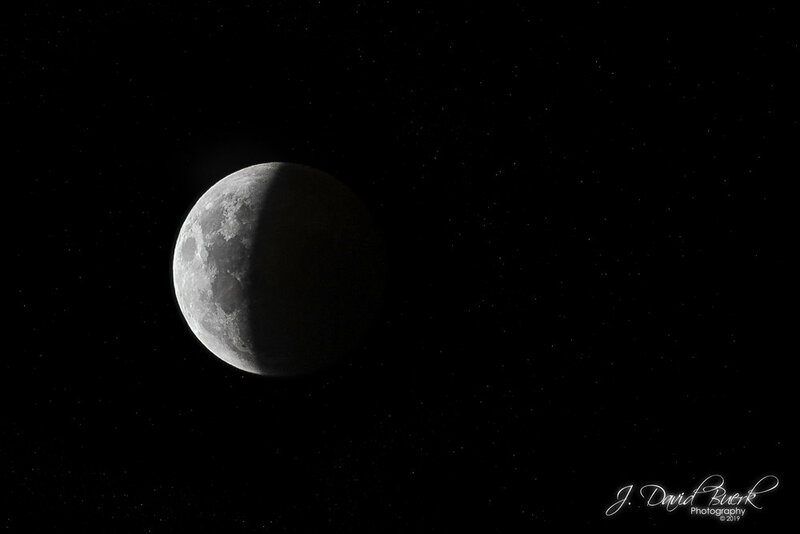 If you’re interested in prints or wall art of my astrophotography, you can order by clicking here. Each year I publish a year-in-review which shows the highlights of my year in photography. 2018 began by closing out 2017’s setbacks; as some of you may recall, I dislocated my kneecap and tore my MPFL in 2017, and underwent surgery to reconstruct my MPFL in October, 2017. This meant that by time 2018 rolled around, although I was back on my feet, I was still in a full-leg brace and only mid-way through physical therapy. The beginning of 2018 was slow, and felt even slower, but that wasn’t a bad thing since it helped me focus on making a full recovery. By February I was out of the leg brace, March I was jogging again, and April I completed physical therapy. By May I was running full-speed again, and June I was fully recovered, hiking Old Rag Mountain and running half-marathons again. Today, 15 months after surgery, I am happy to report that it is almost like nothing ever happened to my knee in 2017. Fully recovering from knee surgery early allowed 2018 to become my biggest year for travel assignments, giving me back full confidence and ability to go and do anything anywhere that is needed or wanted. In 2018, after spending a week and a half in Rhode Island visiting friends and exploring parts of the state that I hadn’t gotten to in previous visits, this meant a whirlwind week and a half across the entire country, touring airports in cities from coast to coast. Traveling from Washington, DC to Atlanta, to Chicago, to San Francisco, and back to Washington, DC, then back to Chicago again before returning home to DC a few weeks ago, I’ve enjoyed five photoshoots across three cities, not counting photoshoots in the DC metro area. The travel allowed me to sample some cities I’d never visited before, and relish some experiences I’ve looked forward to for years. 2019 already has some more travel planned, and I’m very hopeful to continue taking my photography on the road (correction: in the skies). Although it’s not the first time I’ve travelled for a photoshoot, 2018’s trips have been the largest and most logistical travel assignments I’ve taken on, and I’ve loved every second of it. Below you’ll see some highlights from 2018, including some photos which are unreleased to-date due to focusing on deliverables rather than personal photos. Here’s to 2019 and hoping it shapes up to have all the opportunities from 2018 and more! A driving instructor watches the autocross track during The Kia Stinger Experience Tour, Washington, DC, March 10th, 2018. Portrait of Steve Mohyla CFP with podcasting microphone. 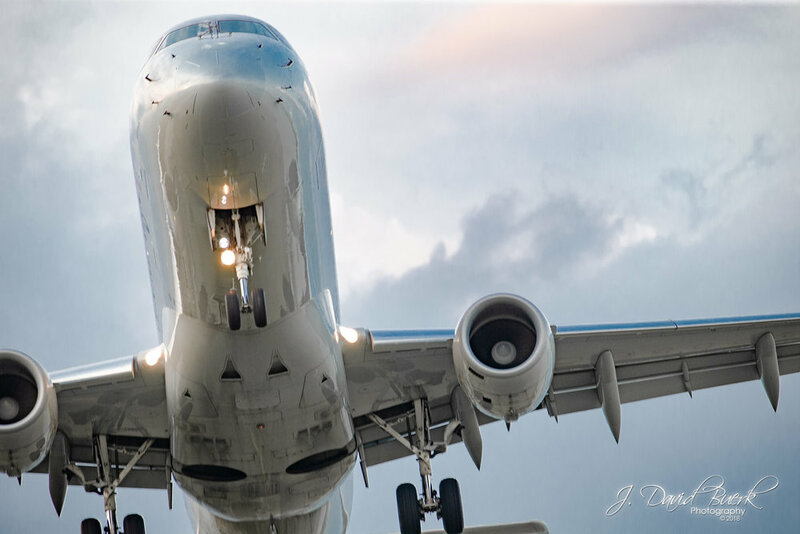 An aircraft on final approach to DCA’s R/W 19, photographed from Gravelly Point, Arlington, Virginia. Equestrians during the 2018 Virginia Gold Cup. A Summer thunderstorm photographed from beyond the rainfall. 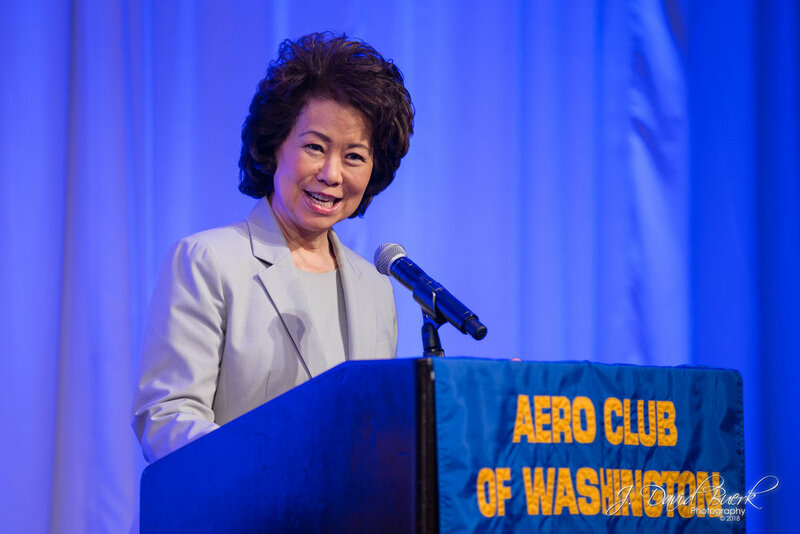 The Honorable Elaine Chao, United States Secretary of Transportation, addresses guests at The Aero Club of Washington's "When Ingenuity and Innovation Come Together" luncheon, June, 2018. 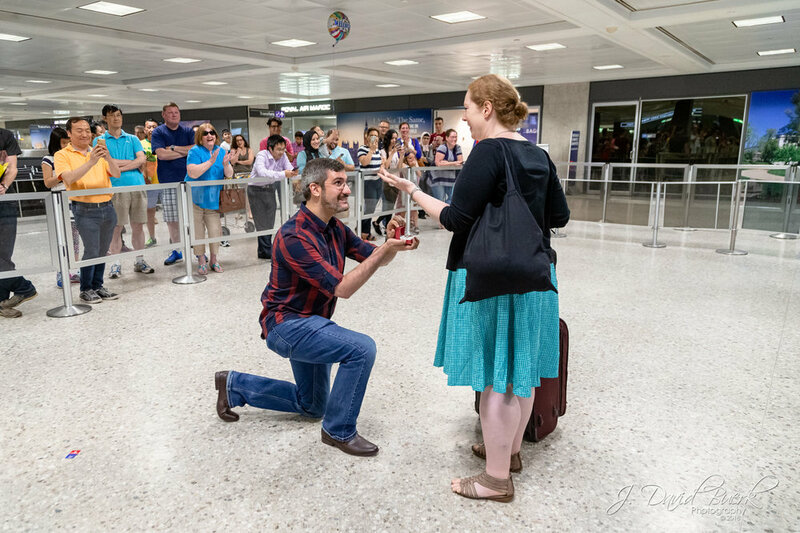 Bayard proposes to Margaret upon her arrival and clearance through Customs at Washington Dulles International Airport. Nighttime view of the former location of New York City’s World Trade Center Twin Towers through the Empty Sky Memorial in Jersey City, New Jersey. Headstones in the fog, seen in Union Cemetery, North Smithfield, Rhode Island. Historic Downtown Woonsocket, Rhode Island. TF Green Airport ARFF Station as seen from airside. Southern face of the Rhode Island State House, Providence, Rhode Island. 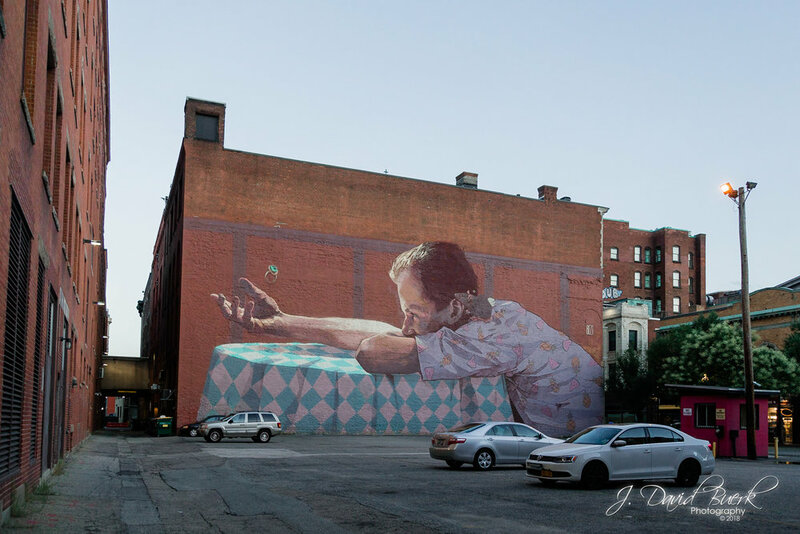 “She Never Came” by Bezt from Etam Cru and Natalia Rak; a mural in downtown Providence, Rhode Island. The Providence Biltmore Hotel as seen in the film 27 Dresses. Hennessy the pit bull playing in a river stream. Easton Point, Newport, Rhode Island. At the Museum of Work and Culture in Woonsocket, Rhode Island, a French-Candian immigrant worker tends to a loom. My September, 2000 print of New York City’s World Trade Center Twin Towers held and photographed in the exact same spot in present-day Liberty State Park, Jersey City, New Jersey. View of Manhattan from Liberty State Park, Jersey City, New Jersey. View from atop Old Rag Mountain in Shenandoah, Virginia. This would mark the first time I hiked Old Rag since my knee injury over a year prior. A stream in Shenandoah National Park. The Shenandoah River with a thunderstorm rolling in in the distance. Shot and edited entirely on iPhone 6. Secretary of Health and Human Services Alex Azar speaking at The American Heart Association’s Value in Healthcare Initiative Meeting at Kaiser Permanenteâ€™s Center for Total Health in Washington, DC. Nikon President and CEO Yasuyuki Okamoto welcomes guests to the Nikon Z 7 release event at the Newseum in Washington, DC. Capital Area Photographers gather for a group photo at the Nikon Z 7 release event at the Newseum in Washington, DC. Shot and edited entirely on iPhone 6. 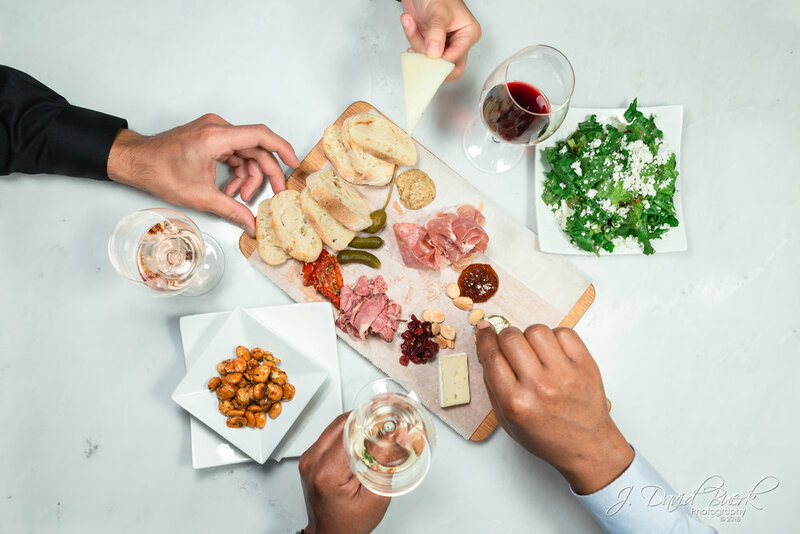 Food photography for a marketing campaign. 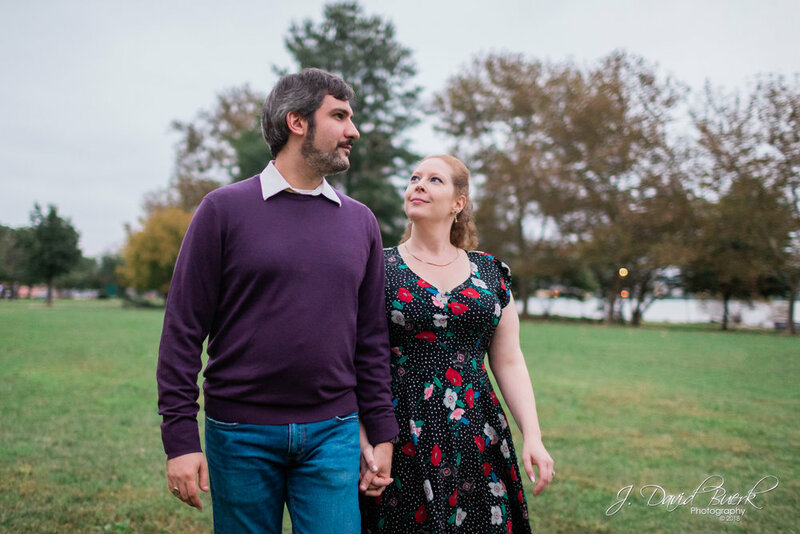 Bayard and Margaret stroll during their engagement session in Alexandria, Virginia. Downtown Chicago, Illinois at night, aerial. 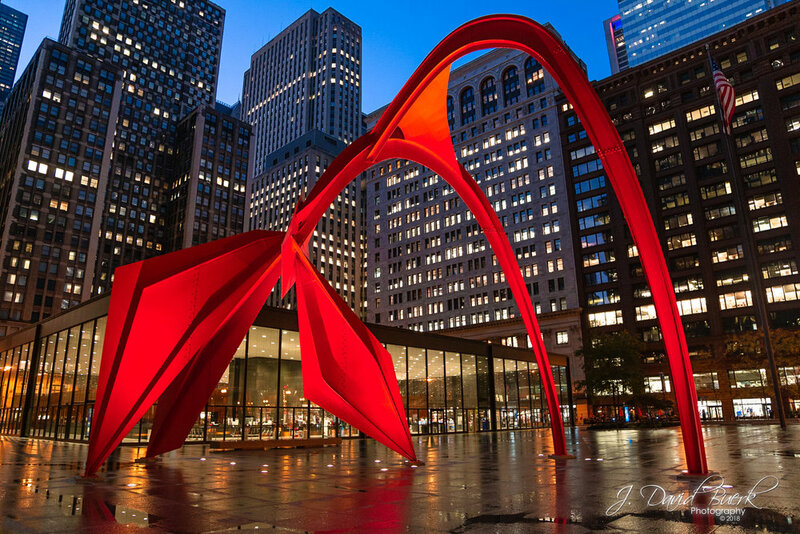 Alexander Calder’s Flamingo in Chicago, Illinois. Sir Anish Mikhail Kapoor’s Cloud Gate, colloquially known as “The Bean,” in Chicago, Illinois. Shot and edited entirely on iPhone XS. Pacifica Beach, Pacifica, California at sunset. My first full West coast sunset. Shot and edited entirely on iPhone XS. 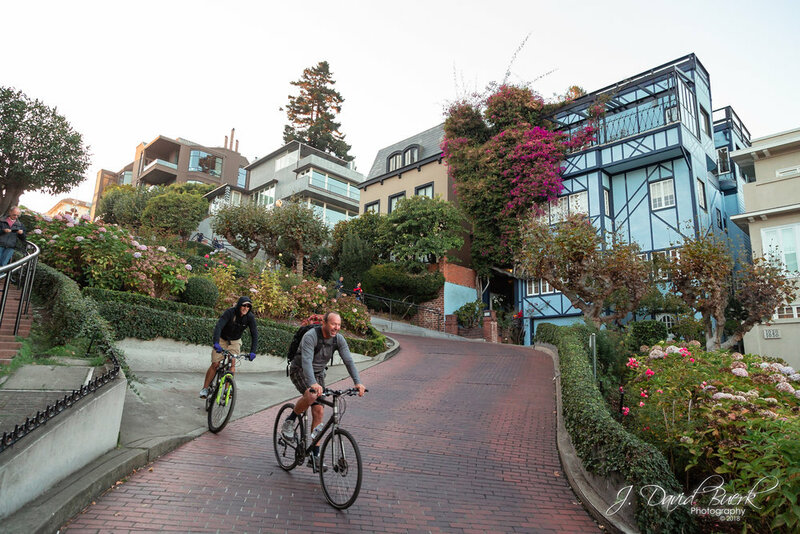 Cyclists biking down the chicanes of Lombard Street, San Francisco, California. Aerial view of San Francisco, California from Christmas Tree Point, Twin Peaks, San Francisco, California. Cabernet Franc grapes on the vine in Napa, California. Myself atop the Panoramic peak above Muir Woods, Mill Valley, California. Shot and edited entirely on iPhone XS. 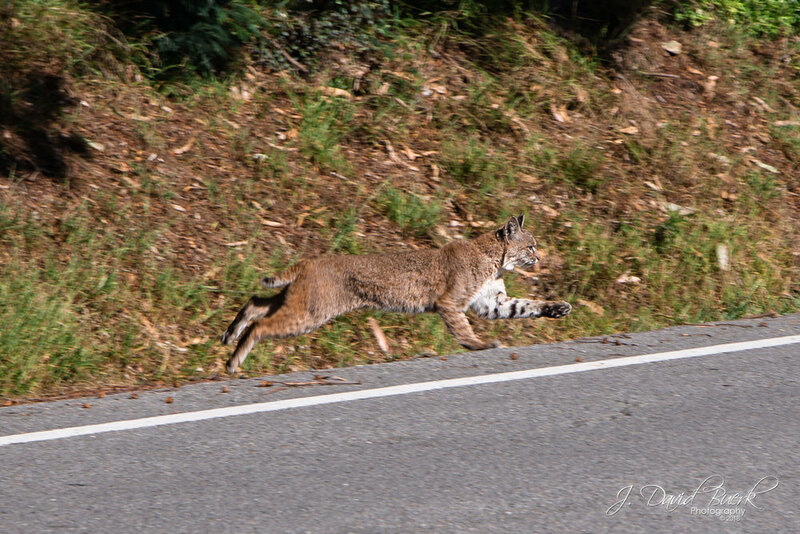 A bobcat crosses a road atop the Panoramic peak above Muir Woods, Mill Valley, California. View of the Muir Woods canopy from midway above the forest floor. San Francisco’s iconic Golden Gate Bridge at sunset. Aerial view of wildfire in the Sierra Nevada mountain range. Composite image of the moon and Milky Way galaxy. Moon and stars are not to scale or sky position, but were photographed in the same night sky. 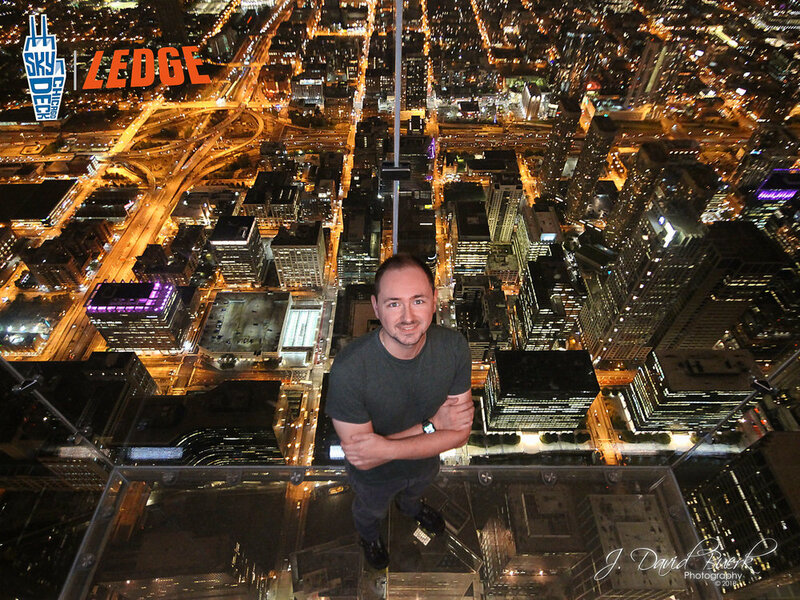 Myself standing in Willis Tower’s “Sky Deck Ledge,” the tallest point above Chicago, Illinois. David and Tiffany during their engagement session in Shenandoah, Virginia. And assortment of mannequins gathered for closeout sale in a liquidating Sears department store. Shot and edited entirely on iPhone XS. Chicago O'Hare International Airport’s iconic Terminal 3 decorated for Christmas as seen in Home Alone 2: Lost in New York. My first photoshoot with Canon’s new EOS R mirrorless full-frame camera, in Chicago O'Hare International Airport. Shot and edited entirely on iPhone XS. Sir Anish Mikhail Kapoor’s Cloud Gate, colloquially known as “The Bean,” in Chicago, Illinois, as seen from inside / below. The Chicago, Illinois cityscape skyline at night as seen from atop 875 North Michigan Avenue, colloquially known as the John Hancock Center. Willis Tower (formerly known as Sears Tower) can be seen on the far left lit in red and blue uplighting.